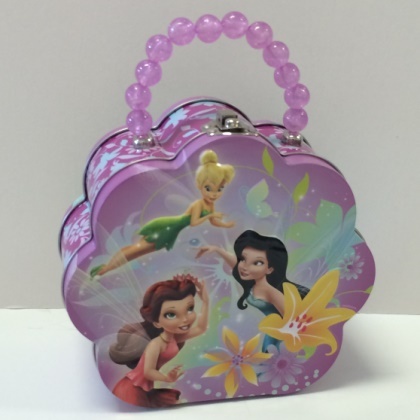 Disney Fairies flower tin with beaded handle measures 6 by 5 inches by 3 inches wide. No thermos. Imported and lead free.